Worlds leading Mobile Handset giant Nokia today introduced new version of Nokia C2 dubbed as C2-01 an inexpensive 3G phone with a couple of neat features and Nokia X2-01, a device for social networking and fast communications. The New Nokia C2-01 classic feature low cost 3G phone with the Series 40 operating system. It has a 3.2-mega pixel camera and a two-inch screen. There’s also a music player, FM radio, Bluetooth connectivity and it can handle memory cards up to 16GB. Note that, unlike the original Nokia C2-00, this is a single SIM device. The handset equipped with Nokia Messaging for email and instant messaging.The Nokia C2-01 measures 109.8 x 46.9 x 15.3mm and weighs 89g. It will come with Ovi Store and Ovi Life Tools service. 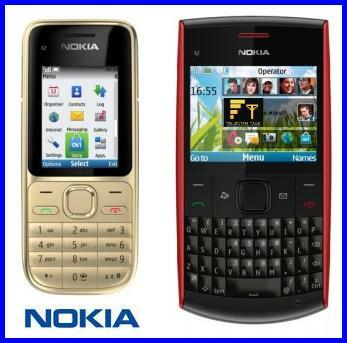 Nokia C2-01 will be available from the first Quarter of 2011 and price expected to be around Rs.4500 (approx). 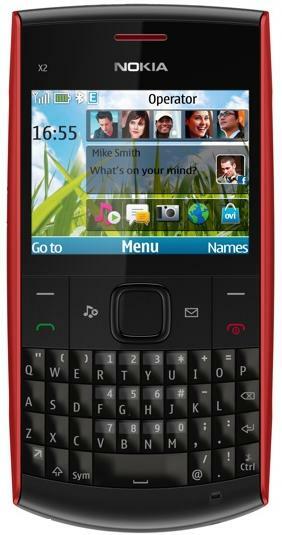 The new Nokia X2-01 comes with a full QWERTY keypad and is aimed at those who can’t get enough of text messaging and status updates. This is bolstered by the new Communities app which integrates Facebook into the device. You can see friends’ updates directly from the homescreen and easily post your own updates and photos. With one click, you can dive into the application for a deeper view. The Nokia X2-01 will be available from this Quarter and the price will be around Rs.5000 (approx).